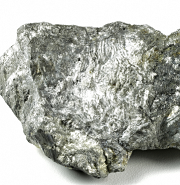 Hard Times for Antimony Producers Are Imminent | Merchant Research & Consulting, Ltd. Currently, the Chinese economy is undergoing a period of relative slow-down, and the Chinese government is scrutinizing and making its environmental and manufacturing policy and regulation more stringent and ecology-conscious. The local antimony market, which is the largest in the world, has to cope with these challenges, which are additionally augmented by the rising labour costs and increases in antimony mining expenses. It also goes without saying, that the Chinese antimony market is decisive as this country almost monopolises the global antimony production and governs its prices. The current Chinese government’s clampdown on outdated antimony facilities might have caused the price spike for this metalloid like it was in 2011 when antimony price reached USD 13,000/tonne from c. USD 5,000/tonne in 2006. However, the opposite trend is currently evident, and the long-lasting reasons for this trend are clear. Numerous studies show a dramatic rise in antimony accumulation in the environment, including soils, atmosphere, and water, since the Industrial Revolution, while the character and mechanism of antimony effect upon the environment, plants, animal species and human beings remain largely under-researched. With a potential carcinogenic impact and closeness to arsenic, the prospects of its market may look bleak despite its useful properties and vital application areas in catalysts, flame-retarded goods, lead batteries, paints, plastics, glass, and ceramics. Things may deteriorate for the EU antimony market if its three existing forms (antimony trioxide, antimony sulphide and antimony metal) are transferred from the category of “suspected of causing cancer” to the “may cause cancer” category under the CLP regulation. Unsurprisingly, various chemical and manufacturing companies have been developing antimony-free compounds for various applications. For instance, BASF promotes its antimony-free flame retardants and similar products for the aerospace sector, dispersions, resins, household appliances, and other outlets. The marketing of typically antimony-intensive products under the antimony-free slogan by such major chemical multinational companies as BASF is a bad sign for antimony compounds. Of course, the recent fall of antimony prices in Asia and Europe mostly follow seasonal dynamics, backed by weak demand and little spot activity reported in the market, (currently, antimony is traded at c. USD 8,000/tonne in Rotterdam and RMB 49,500/tonne in China). However, the current difficult times for antimony producers, which should be ready for continuous price reductions, are also the outcome of growing environmental concerns. More information on the global antimony market can be found in the in-demand research report “Antimony: 2019 World Market Review and Forecast to 2028”.